Let me know when you do Neil, will see if I can be about. Best to get photos asap in case the worst happens and developers knock down this historic building for redevelopment. No building is safe unless it is listed......Lidl knocked down the old Organ Inn just down the road at Ewell last year even though they have no planning permission for a supermarket and despite the fact that KFC were turned down only a few months earlier over traffic and parking issues. 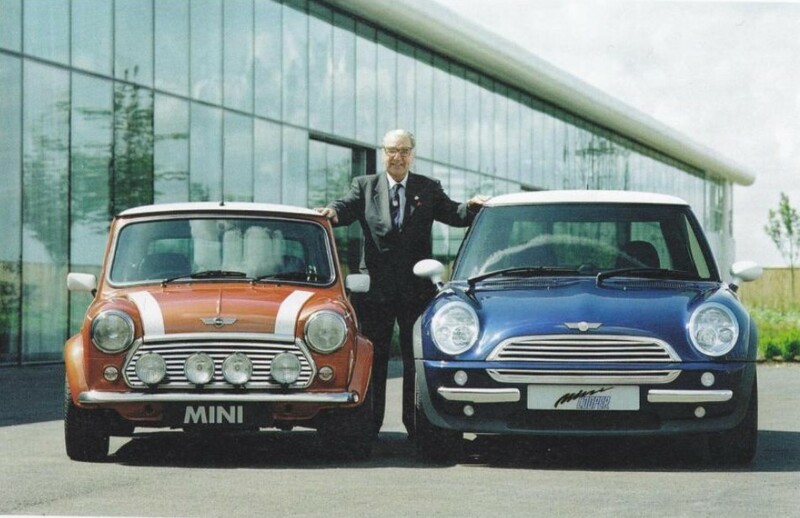 John Cooper at Gaydon with an early prototype of the New R50 MINI Cooper in August 1998 with the Rover style winged Mini badges. Saw this over on PH! Damn! The club will be starting our run just a few miles away at that time! The MCR Forum says the unveiling has been brought forward to 11am today. 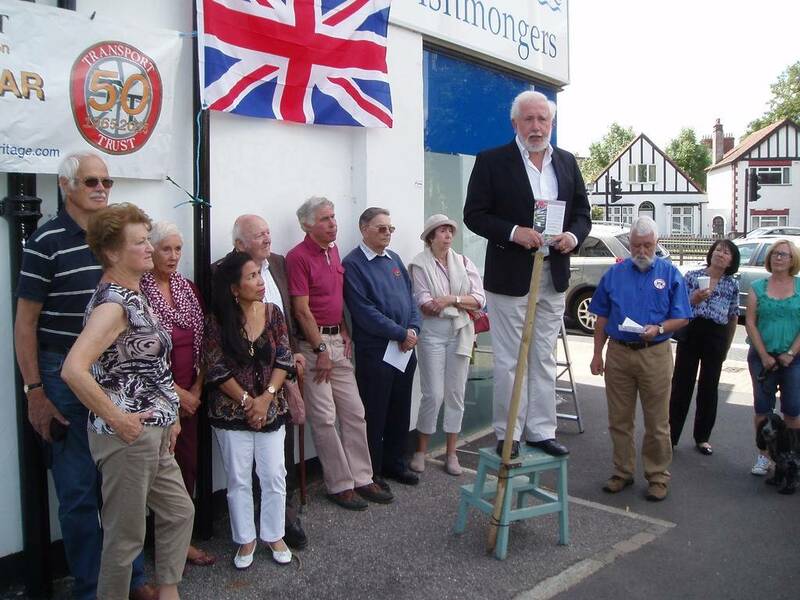 Many thanks to Mk1 Forum member (coop12g295) for sharing the photos below of yesterdays unveiling ceremony of the Red Wheel Plaque at the old Cooper Works in Surbiton. 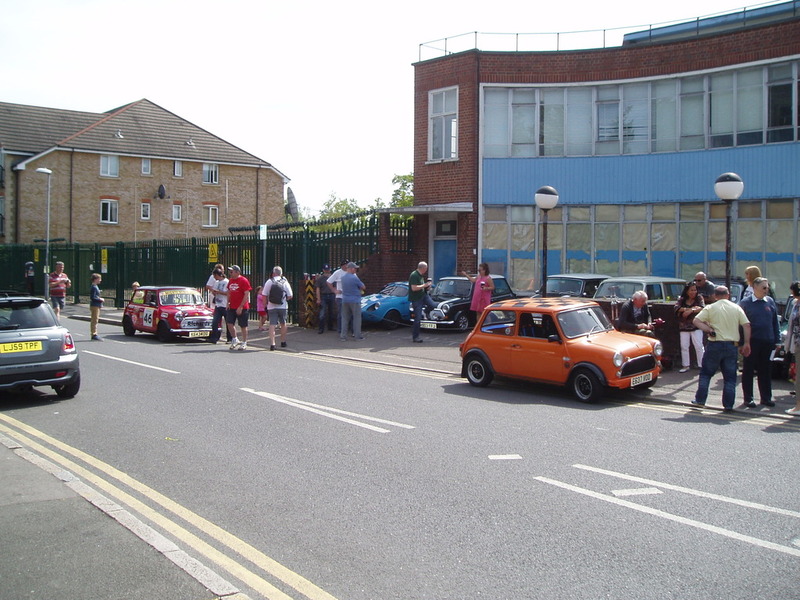 Protesters against a planned Sainsbury’s store in Berrylands, Surbiton claim a piece of the borough’s racing car history will be lost if the building goes ahead. 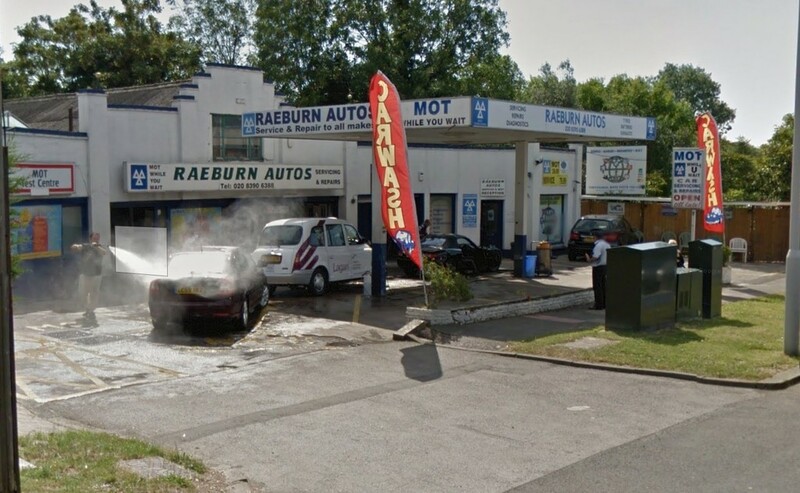 A planning application for the shop and five flats on the site of the petrol garage at 118 Raeburn Avenue has been submitted to Kingston Council. 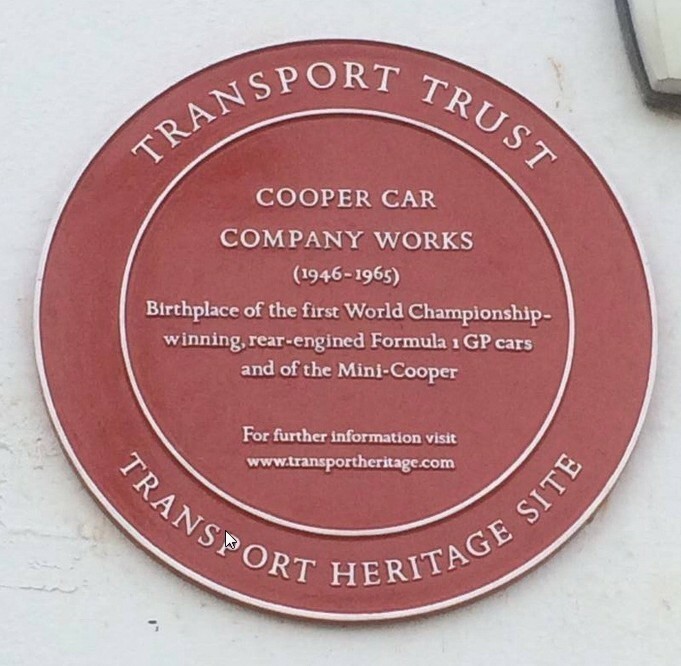 But campaigners claimed the building should be protected because of its connection to the famous Cooper racing garage. 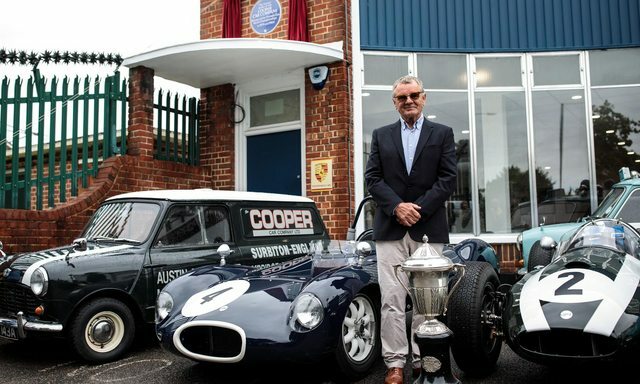 Car making legend John Cooper rented the garage in the late 1940s and started to build his racing empire there, before moving on to the famed Mini Cooper garage in Hollyfield Road. Raeburn Avenue resident Peter Bell said: “The cars were tested up and down the road. 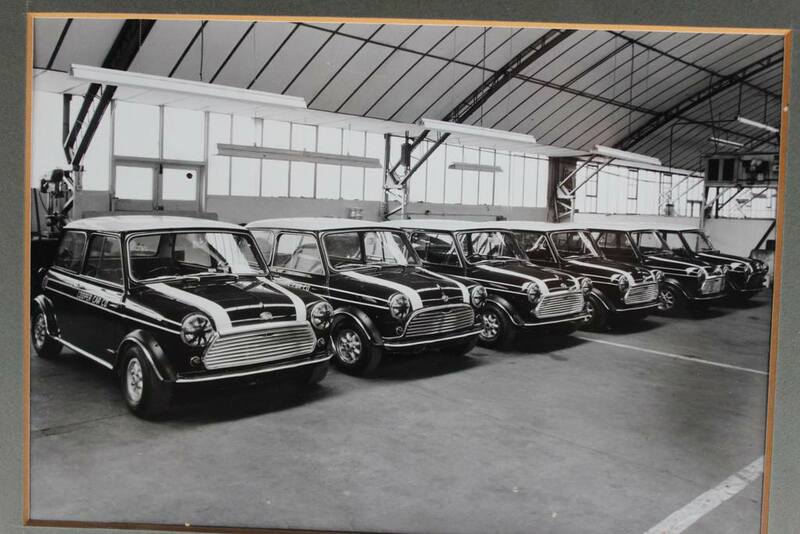 These were not the Mini Cooper cars. These were big racing cars. 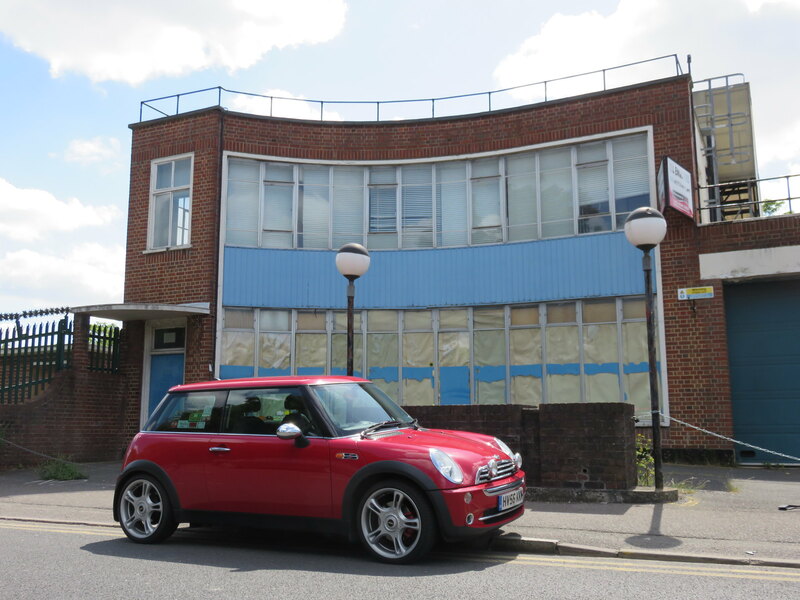 The old Cooper garage in Hollyfield Road, often referred to as the birthplace of the Mini Cooper, is also up for sale. Teenager Kyle Stanger received support from across the world when he started the Save the home of the Cooper campaign in May and urged the council to list the property as a community interest site. 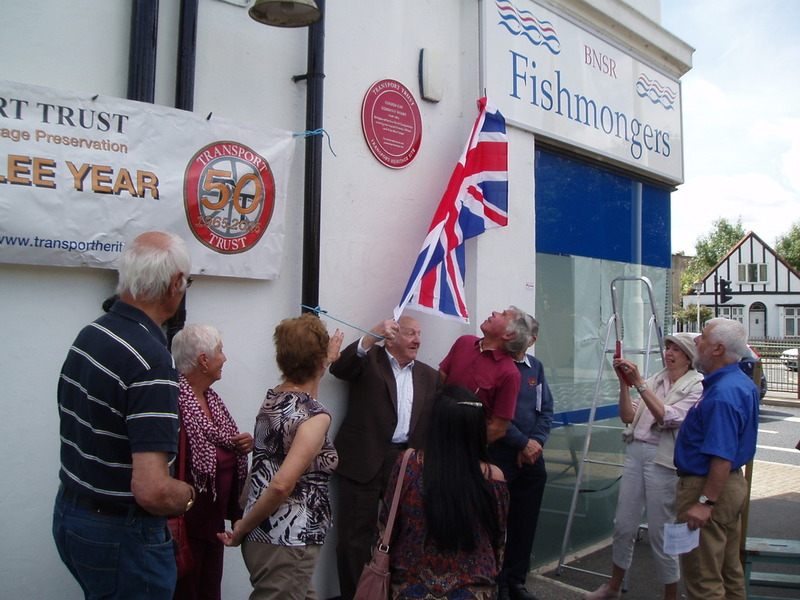 A commemorative plaque was fixed to the Hollyfield Road building last month. The application by Kent-based company Kal-max Properties shows plans for a three storey building with a supermarket on the ground floor with provisions for car access, parking, and landscaping. Agent Barry Kitcherside said: “All the information about the building and planning history is available on the [council] website. Comments on the proposal closed on October 16. Visit kingston.gov.uk for more information. Nice photo. Interesting to note the second from the left has the earlier grill suggesting they weren't just a batch all made the same. Sports car workshop and showroom. Built c1958 for Charles Cooper to the designs of Richard Maddock on the site of his earlier garage. Second-storey draughtsman’s office added c1960. From 1965 used as a police car depot/forensics laboratory. 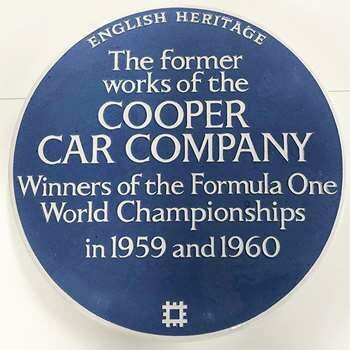 It would appear that all the cars from the Cooper 500 onward were built at the Hollyfield Road workshop, although a secondary site at Langley Road, Surbiton was purchased in the late 1950s. 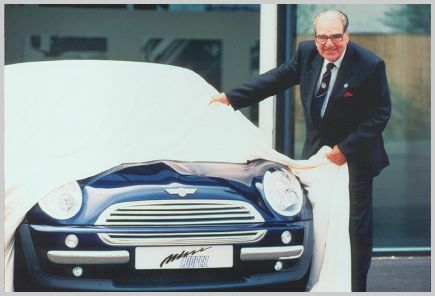 From 1961 John Cooper, in association with Alec Issigonis, designer of the British Motor Corporation (BMC) Mini, designed a series of sports versions of the car, the Mini Cooper. These were large scale production models and were built by BMC at Longbridge, Birmingham but their design is popularly associated with Hollyfield Road. 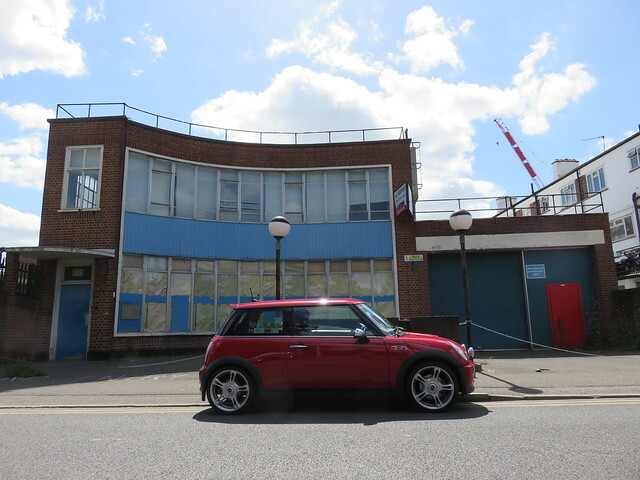 * Architectural interest: for the early use of double-height, aluminium-framed glazing utilised in a dramatic curved frontage; * Rarity: very few purpose-built motor car workshops or showrooms survive from this period. The site on Hollyfield Road was purchased by Charles Cooper in the 1920s. The plot was populated with a series of sheds which he used for his garage business; these are shown on the 1934 Ordnance Survey (OS) map. In the late-1930s a parade of shops was built along Ewell Road where the end shop (No 243) was leased by Charles Cooper as a showroom, with his family living in the flat above. By the time of the 1955 OS map the sheds had been cleared and a new garage built on the site. It is shown in a 1946 Pathé newsreel as a series of single-storey, pitched roofed workshops, stretching to the road in the north-west corner, with a yard to the south-west with three petrol pumps. The current building was designed by the architect Richard Maddock, father of Owen Maddock (1925-2000) who was the Cooper Car Company’s chief designer from the late 1950s until 1963. Richard Maddock had been employed by the practice of Sir Herbert Baker and worked on the rebuilding of the Bank of England (1925-39). The current building is shown in a photograph of 1958/9 around the time that it was built. Another photograph, dated 1963, shows the addition of a draughtsman’s office on the flat roof of the main two-storey range. 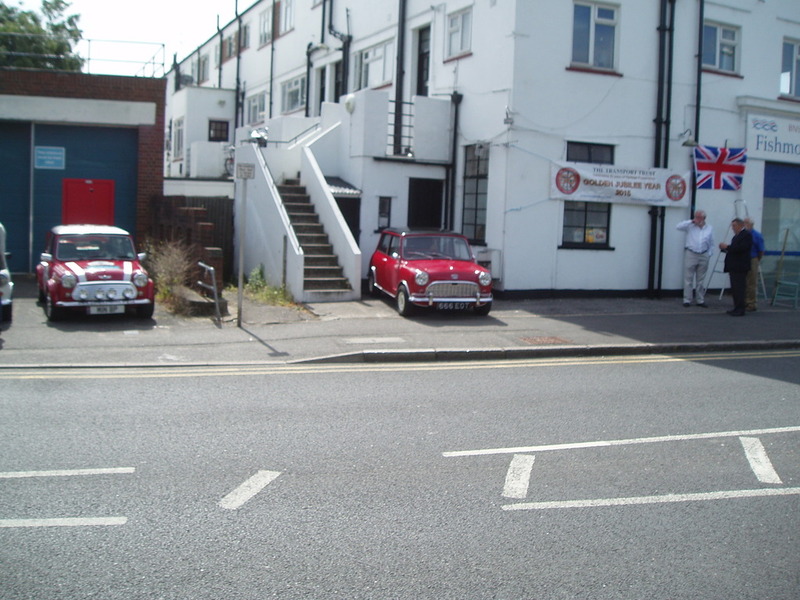 In 1965 Cooper Cars relocated to Byfleet in Surrey and the garage was leased to the Metropolitan Police as a police car depot and subsequently as a forensics site. Some internal re-ordering was carried out, particularly on the ground floor of the office block. The police vacated the site in 2014. 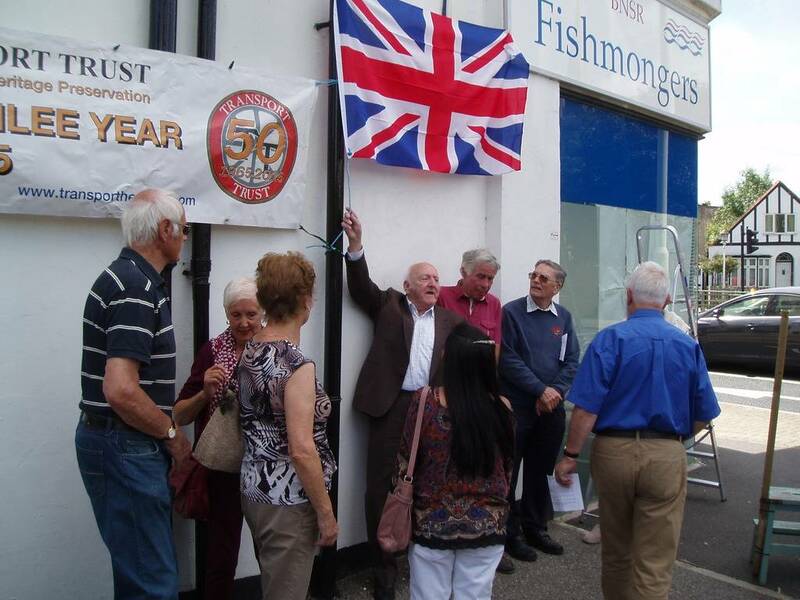 Glad that it was saved from development and that the Cooper heritage is being recognised. And that it's now owned by proper petrolheads (Charles Ivey Porsche). Still want to go and get some MINI photos there one day; know some of us have done it.